Rafa Benitez’s smart use of the January transfer market has reinvigorated Newcastle United’s campaign. In addition to the impact made by on-loan goalkeeper Martin Dubravka, the signing of Kenedy from Chelsea until the end of the season has breathed fresh impetus into the Magpies' forward play. The Brazilian’s speed and directness always had the potential to excite Newcastle's fans. But it is the 22-year-old’s efficiency in both halves that will have delighted his manager most. His past experience as a left-back has clearly been beneficial to the side. 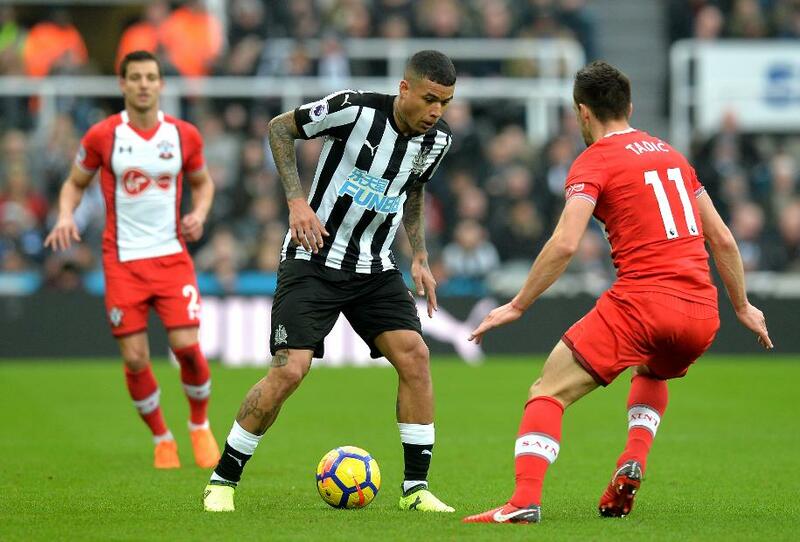 Providing decent protection for Paul Dummett behind him, Kenedy will regularly track back and win the ball. The winger is statistically one of Newcastle’s best tacklers, and that gives him an advantage over his two main positional rivals in the squad, Christian Atsu and Jacob Murphy. Neither man is as natural out of possession or in the ball-winning department. Kenedy also provides outstanding quality with his left foot, from open play and set-pieces. His assist from a corner for Jamaal Lascelles against Burnley showcased his ability from dead-ball situations, while he has produced spectacular strikes at goal and accurate deliveries from the wing. It will not have gone unnoticed by his manager that, at 33.3 per cent, Kenedy’s success rate from crosses is significantly better than those of Atsu and Murphy. He whips around half as many balls into the box, but the accuracy is top-class. Newcastle look more incisive with Kenedy playing wide on the left. While he is no quicker than Atsu and Murphy, his directness has given the Magpies an added goal threat. The Brazilian tries his luck with plenty of efforts on goal, and his nifty footwork means he is effective at drawing fouls. His positivity and skill earned a penalty at home to Burnley, which Joselu unfortunately spurned. Kenedy’s duel with Arsenal’s Hector Bellerin at St James' Park on Sunday will be one to keep a close eye on as he has the form and skill to give the Spaniard a challenging afternoon.